Time to start shopping for a used Ford, but not sure what to expect from your local dealership? At Vogler Ford, we are dedicated to providing each and every resource possible for our potential and returning customers. So, from our most popular Ford models to the difference between used and CPO vehicles, here is some of our most valuable information when shopping for your next vehicle from a used Ford dealership. The Ford Focus is a compact car that has been one of Ford’s most popular models since its release in 1998. Today, the Focus has evolved to house some of the most advanced automotive technologies on the market in terms of entertainment, safety, and convenience. It is extremely affordable, with its newest model, the 2018, starting at just $17,950. This price is further enhanced by the vehicle’s impressive efficiency, with new models of the Focus earning up to 30 mpg in the city and 40 mpg on the highway. If you’re looking for a compact car with a high level of power, the Focus won’t disappoint. In fact, with three powerful engine options available, the Ford Focus offers up to 350 hp and 350 lb-ft torque. Overall, the Ford Focus is an entirely versatile compact car that provides an affordable option for drivers interested in new, used, or certified pre-owned vehicles. The Ford Escape is one of Ford’s most popular SUVs, and has maintained this status since its release in 2000. This compact SUV is a versatile option for drivers looking for the convenience of an SUV without sacrificing efficiency, as the Escape earns an impressive 23 mpg in the city and 30 mpg on the highway. Despite being in the compact SUV class, the Ford Escape offers plenty of space for up to five passengers with up to 68 cubic feet of cargo space on its 2019 model. Offering a fair level of capability, the Escape even allows drivers to tow up to 2,000 LBS on new models. Drivers looking for a versatile compact SUV will be more than pleased with what the Ford Escape has to offer. The Ford Explorer is the perfect option for drivers looking for more power and space out of their SUV. This seven-passenger SUV offers up to 5,000 LBS of towing capacity on its 2019 model and earns up to 365 hp and 350 lb-ft torque. Although the Explorer is not often sought after for its efficiency, it offers class-high fuel economy ratings for a midsize SUV at up to 19 mpg in the city and 27 mpg on the highway. The Explorer also excels in its available onboard technology, including a packed entertainment suite and convenient driver assist features. Of course, if you’re interested in purchasing a midsize SUV for the space, you’ll be happy to know that the 2019 Ford Explorer offers up to 80.7 cubic feet of cargo space. Overall, the Explorer is a suitable option for drivers looking for a capable, powerful, and spacious midsize SUV. The Ford F-150 is iconically powerful, capable, and reliable. With each new model year, the F-150 continues to offer best-in-class performance across a multitude of categories. For the 2019 Ford F-150, drivers can enjoy up to 8,000 LBS of towing capacity. 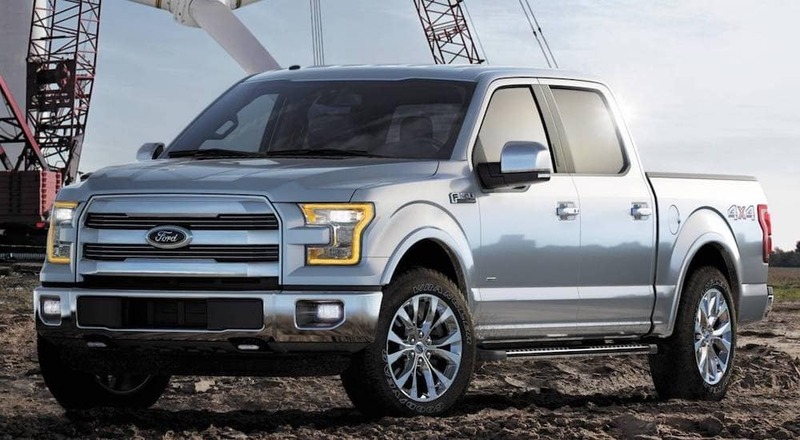 And with its five available engines, the F-150 has the ability to produce up to 450 hp and 510 lb-ft torque. Across its recent model years drivers can also enjoy an abundance of onboard entertainment and safety technology, as well as plenty of upgradable options for comfort and convenience. For truck enthusiasts looking for the ultimate luxury experience, higher trim levels of the F-150 are available with all impressive premium features on new, used, and certified pre-owned options. For drivers looking for a customizable, reliable, and powerful pickup truck, the Ford F-150 is a must-have vehicle. When it’s time to purchase your next vehicle from your local used Ford Dealership, you may be considering both used and certified pre-owned vehicles. However, it can seem difficult to choose between these two options. To help you on your used vehicle search, here’s a quick break down of the difference between used and CPO vehicles. Used vehicles from your local Ford dealership come in a variety of models and can be found in seemingly endless configurations, trim levels, and even prices. Ford vehicles are designed to be affordable when new, so used Ford models are even more affordable. When purchasing your vehicle with a reliable used Ford dealership, you can feel confident that it is a high-quality car, truck, or SUV, and will last for years to come. However, factors like mileage, model year, and onboard features will vary significantly throughout the available used inventory. Certified pre-owned vehicles are used vehicles that have undergone a strict certification process, and consequently offer many incredible benefits. In order to qualify for the CPO title, vehicles in this program must be low mileage, have a clean vehicle history report, and be of a recent model year. This means drivers who choose to invest in a certified pre-owned Ford can enjoy a used vehicle that is in like-new condition both on the outside and inside. CPOs are slightly more expensive than their used counterparts, however, they are still more affordable than new vehicles. This is an excellent option for drivers looking for the highest level of quality and reliability in a pre-owned vehicle. If you’re unsure which option best fits your lifestyle and budget, don’t worry! The helpful team at Vogler Ford is dedicated to listening to your needs and helping you determine which options are best for you. To view our used and CPO inventory, simply visit our easy-to-navigate website or stop our dealership during our convenient hours. Choosing the right dealership is just as important as choosing the right vehicle. Just like how you want a reliable and dependable vehicle, you’ll want to find a dealership with these qualities as well! When it’s time to visit your local used Ford dealership, be sure you are greeted warmly by a helpful customer service or sales member, and that the entire team is eager to help you on your search for your next vehicle. A trustworthy used Ford dealership should welcome any and all questions, and be able to offer expert insight into your concerns. And when it comes time for financing, you’ll want to look for a knowledgeable and flexible finance department with national and local connections. Thankfully, Vogler Ford meets all of the requirements and more. From financing for all credit backgrounds, in-house servicing, and a high-quality inventory, Vogler Ford is able to provide our customers with premium service during the car-buying process and long after. Shopping for a Used Ford? 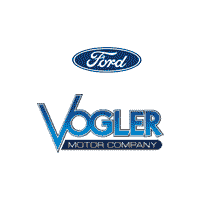 Visit Vogler Ford Today! When you’re ready to begin your search for the perfect used Ford, look no further than Vogler Ford. We are passionate about the vehicles on our lot and the customers we pair them with. To become part of the Vogler Ford family, simply visit our lot, give us a call, or start by browsing our user-friendly website. We are certain you’ll be happy with the service you receive from our dedicated team of automotive professionals!